Annual mean emissions for 2000–2005 of the AFOLU sector, which combine CO2, CH4 and N2O from deforestation, fire, wood harvesting, livestock (enteric fermentation, manure management), paddy rice, and cropland soils. Uncertainties of annual mean emissions for 2000–2005 of the AFOLU sector, expressed as the standard deviation. An integrated pan-tropical map of aboveground biomass in woody vegetation using multiple reference datasets. 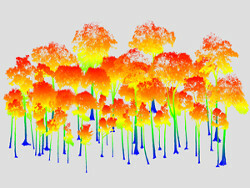 Reference data used for the Avitabile pan-tropical biomass, in both shapefile and raster format. Annual mean carbon dioxide emissions (expressed in CO2e) for 2000–2005 from the forest sector and soil organic content loss from soils. Uncertainties of annual mean carbon dioxide emissions (expressed in CO2e) for 2000–2005, expressed as the standard deviation. 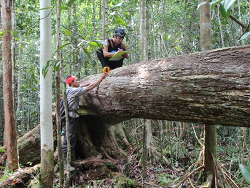 Destructive sampling measurement data of 29 large tropical trees from 3 sites (Indonesia, Peru and Guyana) for estimating tree wood volume and tree AGB. 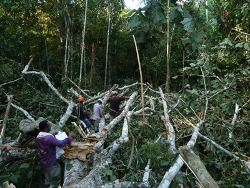 Forest inventory data of 29 individual large tropical trees from 3 sites (Indonesia, Peru and Guyana) for estimating tree AGB with allometric equations. 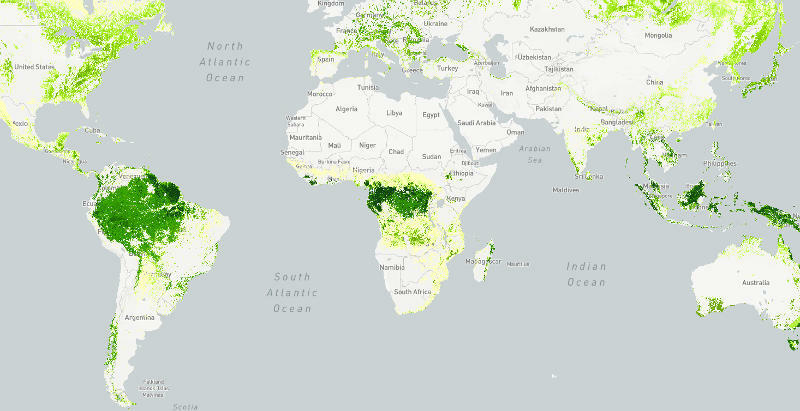 Global map of aboveground biomass in forest, generated by combining and harmonizing the Avitabile pan-tropical biomass map with the boreal forest biomass map by Santoro et al. (2015). Annual mean methane emissions (expressed in CO2e) for 2000–2005 from livestock (manure management, enteric fermentation), fires and paddy rice. 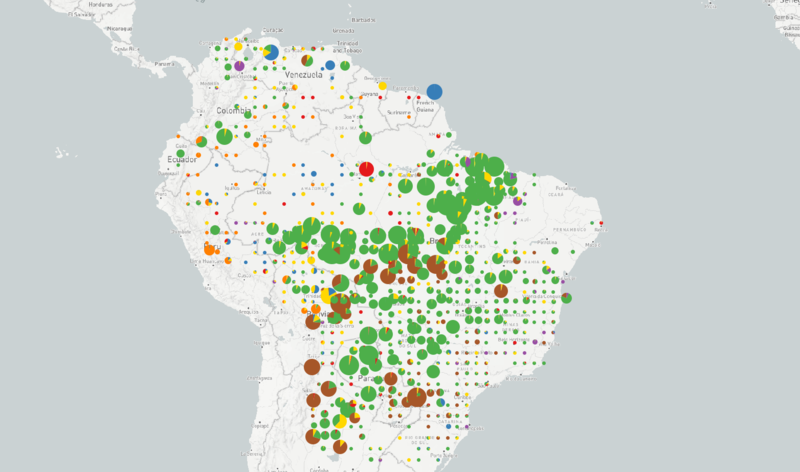 Current status and recent changes in national forest monitoring and reporting capacities in 99 tropical REDD+ countries, using 3 indicators “Forest area change monitoring and remote sensing (RS) capacities”, “Forest inventory capacities” and “Carbon pool reporting capacities” for the years 2005, 2010 and 2015. Annual mean nitrous oxide emissions (expressed in CO2e) for 2000–2005 from livestock (manure management), fires and cropland soils. 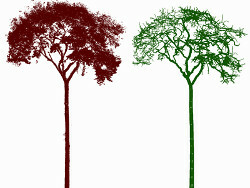 Quantitative Structural Models (QSM) cylinder model outputs (3D tree architecture models), generated from the individual TLS point cloud data of 29 large tropical trees from 3 sites (Indonesia, Peru and Guyana). TLS point cloud data for 29 large tropical trees in 3 study sites: Indonesia (peat swamp forest in Central Kalimantan, Borneo), Peru (lowland tropical moist forest in Madre de Dios) and Guyana (lowland tropical moist forest in Cayuni-Mazaruni).